Our good friends, Craig and Amanda Tindall, have been inviting us to their lake house on Lake Martin in Alabama for several years. With the aligning of the stars and both of our crazy calendars coming together, were will FINALLY able to make it work last weekend. It was EPIC. There are not many things in life better than hanging out on the lake in late Summer with big boy toys, good food, and great Christian friends. 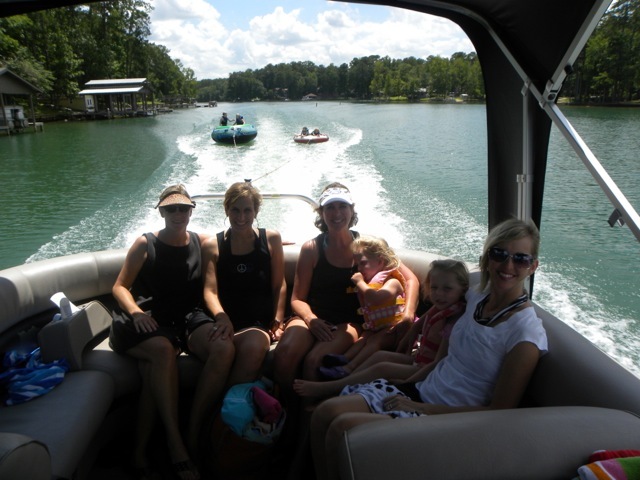 Also, Jennifer’s good college friends, Lee Carol Meads and Amy Christmas Tankerly, we able to meet us at the lake with their kids. It was a college reunion of sorts with Jennifer and a few of her close sorority (ZTA) sisters. 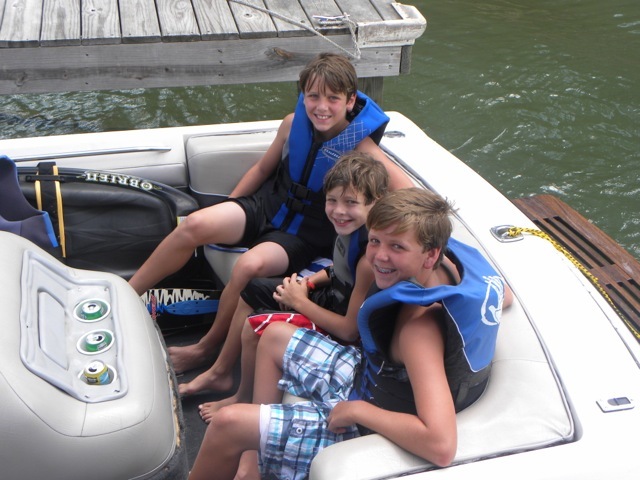 Craig and I spent most of our time on the lake pulling the kids and me on the tubes, slalom, and knee board. Let me just say that my body is still sore, and I pulled muscles that I did not know existed. My mind thinks that I’m 27 years old, but my body knows and feels the truth. One of the highlights of the trip was talking with Barrett, Craig and Amanda’s oldest son (12 years old), about the book he read this Summer, More Than A Carpenter, by Josh McDowell. He was so excited about what he learned…mainly the strong evidence we have for our faith in Jesus Christ. I asked Barrett if Jesus was a liar, a lunatic or Lord. And he passionately declared, “He has to be Lord!” It is so obvious that God has a strong hand on Barrett’s life, and I cannot wait to see how He uses him. We love the Tindalls. 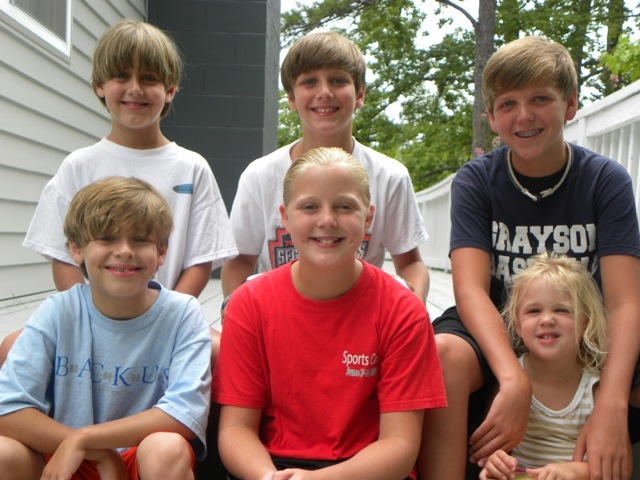 They are a like-minded Christian family and have been generous supporters of Graystone from day 1. We are thankful that God has blessed us with their friendship. BTW, I am on the lookout to get them some tickets to the Auburn vs Georgia game on November 12 if anyone has any connections. Just thought I would throw it out there. 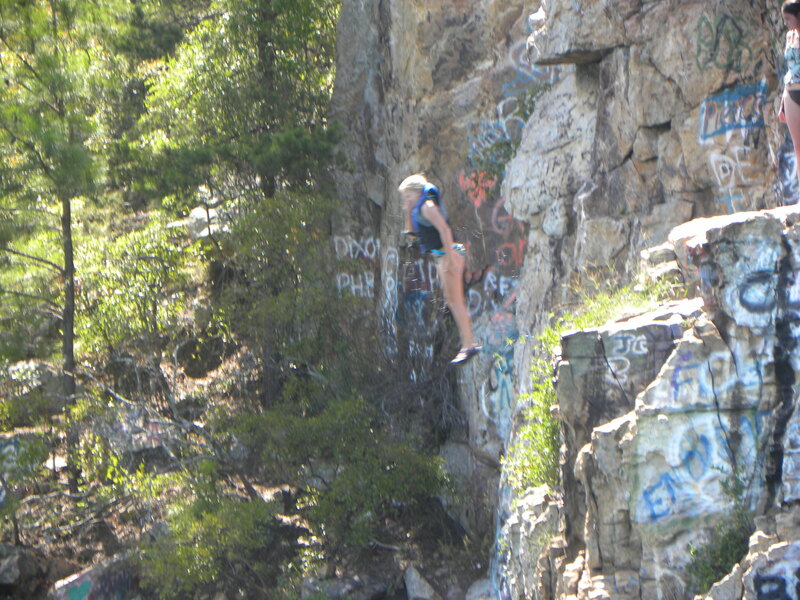 Look for my next post with pictures of Jennifer and I jumping off the 30 foot Chimney Rock.